AI is a hotly debated topic in every conversation, so much so that we have moved from saying ‘there is an app for that’ to ‘there is an AI for that’. 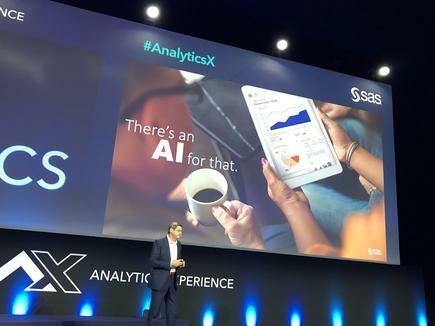 Oliver Schabenberger, chief operating officer and chief technology officer at SAS, observes how AI has permeated everyday discourse in recent years. Yet, AI has not always been talked about this way. 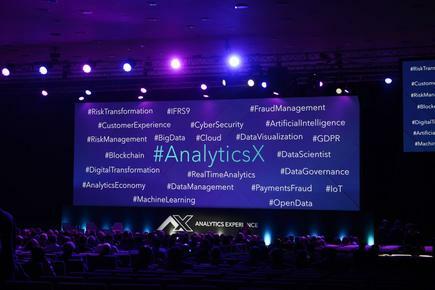 An overhype of the technology led to ‘AI winter’ in the 1980s, he says in his keynote at the Analytics Experience conference this week in Milan. During cocktail gatherings, saying one worked in AI could kill a conversation. “We are building better algorithms,” he says. These, he adds, are the mathematical equivalent of turning cooking ingredients into soup, or “transforming one thing into another”. 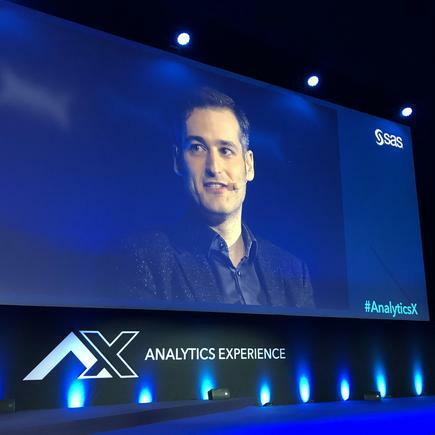 “AI is not just hype,” he says at the annual business technology event organised by analytics provider SAS. 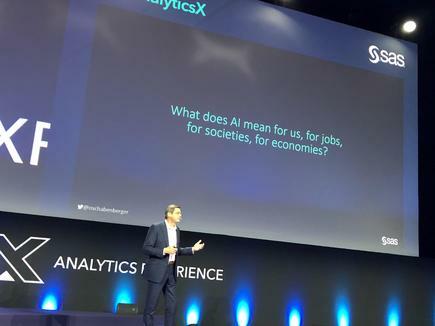 AI can translate his speech in French, diagnose cancer, drive cars and run data centres, says Schabenberger, whose keynote centred on how the world is moving towards the “AI of everything” and its impact. The rise of AI raises several questions, he says. How and why does AI work? What does AI mean for us, for jobs, for societies for economies? How are we dealing with ethical considerations of this technology? What does the future look like? He points out there are two forms of AI, one of which is ‘narrow intelligence’, which solves very specific tasks. The other is artificial general intelligence, or AGI, which aspires to realise human level intelligence in software. AGI can solve general problems, and is not built to do a specific thing. AGI systems mainly exist in movie scripts and the imagination, he says. He explains narrow AI and AGI are very different and so are their implications for jobs, lives and societies. He sees two distinct futures ahead for AI. One is to advance narrow AI and the other is to reach AGI. Today’s technology does not lead directly to AGI, and “but incremental success will eventually get us there”, he says. As with any disruptive technology, he says some jobs will go away and some will be created with the rise of AI. He believes 100 per cent of jobs will be affected in some form or another by automation. One concern is that the technology has outgrown humanity, he says. “We have autonomous cars but no clear decisions in face of harm,” he cites one example. The opportunity with AI, he stresses, is” to reduce unjustness and harm in the world, rather than perpetuate and increase it”. This solution can not be left to engineers and software developers. “AI is here so we can find out humanity...the things that make us completely human - compassion, love, empathy,” he says. 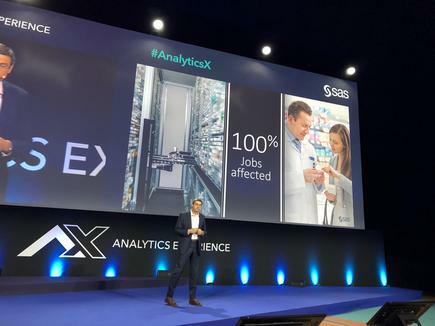 At the AnalyticsX conference in Milan, SAS shared case studies of how different organisations - from hospitals to smart cities - are innovating with artificial intelligence. Shop Direct is one of the leading digital retailers in the UK and Ireland. It is home to popular brands like Very.co.uk, Littlewoods.com and VeryExclusive.co.uk. The retailer offers customers many ways to pay for their purchases, including an in-house credit card. 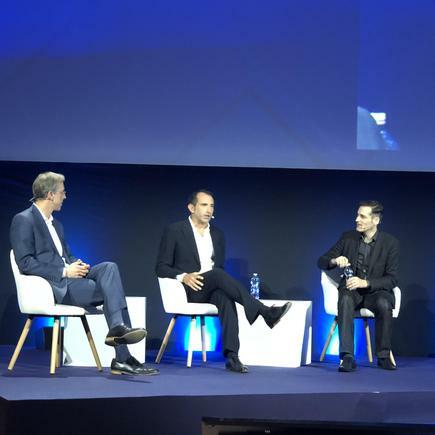 Working with SAS, Shop Direct added AI to its credit-scoring capabilities, allowing it to make real time decisions for approving or rejecting credit card applications. This builds customer loyalty while improving credit risk management. “What matters is to make the right decision for the customer,” he says. Machine learning and AI are much better at detecting fraud than traditional techniques. With the largest distribution network in Korea, the credit card company Lotte serves millions of customers. Lotte Card uses SAS for intelligence behind their chatbot solution to better serve customers and automate call-centre employee workloads. 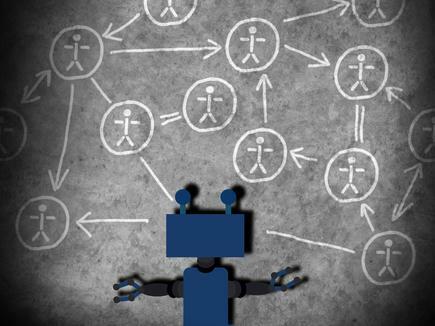 When a chatbot is used for a morphologically complex language like Korean, its accuracy often suffers, and it is unable to match many customer queries. Through a combination of machine learning and natural language processing (NLP), Lotte Card’s developers worked with SAS to design a smarter chatbot, aligning closely to execute the project from data preparation to production deployment. By taking advantage of its existing unstructured data and a custom thesaurus, Lotte Card used SAS machine learning and NLP capabilities to analyse conversations and greatly improve contextual linguistic rules. This underlying AI technology allows Lotte Card’s chatbot to handle more advanced tasks such as updating a customer’s personal information, immediate settlement of a customer account, and card application services. “The AI techniques that SAS offers such as text analysis, machine learning and automation have allowed us to build a more intelligent, more evolved chatbot,” says Lim Sung-wook, big data team leader at Lotte Card. 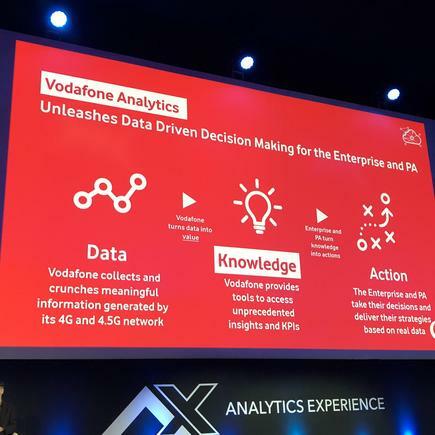 Filippo De Vita is head of Vodafone Analytics in Italy, a service that the telco provided from the data they gather in their network and customer base. The data can help organisations make better decisions by providing valuable insights into movement and usage patterns. For instance, the data can be used to decipher what is happening in tourism and business, such as during the Milan Fashion Week. We distil that information, and if we keep on distilling that information, we can identify patterns over time, he says. Located on the southern coast of France, Centre Hospitalier Universitaire (CHU) de Montpellier has used data visualisation tools for decades to improve hospital activity reports, patient flow and care pathways, and to assist staff. But the hospital was only capturing structured data for analysis. By implementing machine learning and deep learning solutions, CHU de Montpellier will take advantage of the hospital’s previously unused unstructured data, such as medical documents and nurse reports. The goal is to quickly and automatically produce models that can analyse bigger, more complex data and deliver faster, more accurate results. Examples of projects include using clinical notes and medical reports to improve patient screening and to automatically encode diagnoses and treatments using standard classification. The Drecht Cities (Drechtsteden) in the Netherlands have been investing in the Internet of Things (IoT) and smart technologies for more than 15 years. VitrumNet, a digital-infrastructure network of 26 municipalities, schools and healthcare organisations, is one such smart-city initiative. Through VitrumNet, the Drecht Cities are pursuing a digitally connected region, and Dutch analytics startup Notilyze adds advanced analytics with help from SAS. Through a customised AI solution that includes visualisation, optimisation, forecasting and machine learning, the Drecht Cities can analyse streaming data from sensors across the network. Connected residents and businesses can measure water, air or energy with sensors monitoring things like temperature, flow, carbon dioxide and power. The sensor data is then combined with other available data sources to feed the machine learning models. Read more CIO upfront: What should you be doing to manage your GDPR risks? “The marriage of IoT data and artificial intelligence is powering the Drecht Cities,” says Colin Nugteren, Notilyze founder and CEO. “Our work with SAS allows us to analyse the constant flow of information quickly to better advise the smart city project. EDP is Portugal’s largest producer, distributor and supplier of electricity. 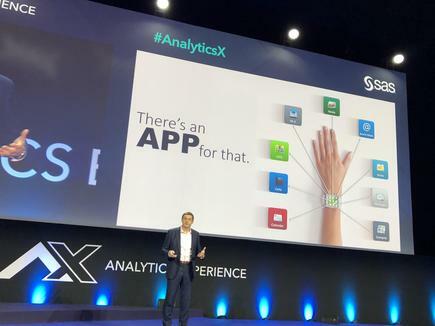 One of its core companies, EDP Distribuição, is building business-intelligence dashboards, predictive-maintenance algorithms, and forecast and revenue assurance models with SAS. The goal is to provide more reliable and efficient generation and distribution of electricity in Portugal. 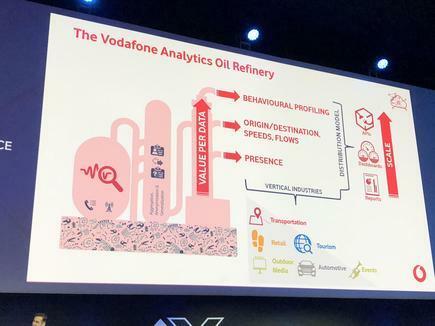 “Some say that data is the new oil, the lifeblood of the global economy,” says Yasin Ahmad, Data Analyst at EDP Distribuição.